Man walkt sie mir, jemand wäscht sie aus. nicht mehr zu waschen, und sie diente mir! in der Sonne aufgehängte Wäsche. Wer ist es? Was ist das? Seifenschaum kommt zurück, welche Weiße? mit der ganzen Luft, und der ganze Himmel darüber! Die Erde kleidet sich mit Erde! Noch weiter hinein! aufs Neue an der frischen Luft, gesund und sicher. wo alles gewaschen wird, unter der Brücke. Sie riecht nach demselben Wasser, nach meinem Körper. soll er sie doch anziehen! Ich weiß, sie erstickte ihn. Ach was, eines Tages, heute, morgen ist das Fest! ein Flicken war und ihm nicht mehr diente. Born in Zamora on January 30, 1934, Claudio Rodríguez is one of the most attractive and original Spanish poets of the mid-twentieth-century generation. His first book, Gift of Inebriation, written in 1953, (“poetry – adolescence – as a gift; and inebriation as a state of enthusiasm, in the platonic sense; a state of inspiration, rapture, ecstasy or, in Christian terminology, fervour”), charted the course that his own poems and those of his generation were later to pursue. In 1951, Rodríguez moved to Madrid where he majored in Philosophy and Letters, graduating in Romanic Philology with the monography entitled The Magic Element in Children’s Castilian Nursery Songs. In fact, his biographers point out that as a young man, the poet had two very distinct traits: he was very fond of observing and reinventing children’s nursery rhymes and games and, on the other hand, he was a roamer and loved being outdoors: his wanderings through the streets of Zamora, on the shores of the Duero River, and in other Spanish towns and cities – his endless moving around – constituted, to a certain extent, the pulse of his writing. In the capital of Spain he became closely acquainted with Vicente Aleixandre, celebrated poet of the 1927 Generation and winner of the Nobel Prize, at whose door countless young poets of his time knocked, their poetry manuscripts under their arms to be shown to this master of poets. In spite of its extraordinary brevity, Claudio Rodríguez’ work, completed with another four poetry books of rare beauty: Spells, Alliance and Sentence, The Flight of Celebration and Almost a Legend – is one of the best and most rounded samples of poetry conceived and crafted as an exploration of knowledge. The poet’s great observation skills, his natural rhythm, concrete and at the same time transcendental, merge into a most beautiful lyrical body of work imbued with three essential values: solidarity, simplicity and happiness. Rodríguez was very active as a teacher and lecturer. Between 1958 and 1964, he was Spanish reader at Great Britain’s Nottingham and Cambridge Universities. He was also Professor of Spanish Literature at several North American Universities having local branches in Spain. The poet was reknowned for his translations, into Spanish, of the works of T.S. Eliot. 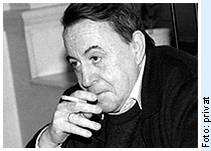 Claudio Rodríguez won some of the most important prizes in Spanish Literature, such as the Adonáis Poetry Prize (1953), the Critics’ Award (1965) and the National Poetry Award (1983). In 1993, he won the Prince of Asturias Prize for Literature, and, five days later, the Queen Sofía Prize for Iberoamerican Poetry, sponsored by the National Heritage Institute and the University of Salamanca. He was made a member of the Royal Spanish Language Academy in 1987. He died in Madrid on July 22nd, 1999.